Some people may find traveling around an entire country at almost 8 months pregnant to be a bit daunting, but it’s exactly what I wanted to do for our babymoon. 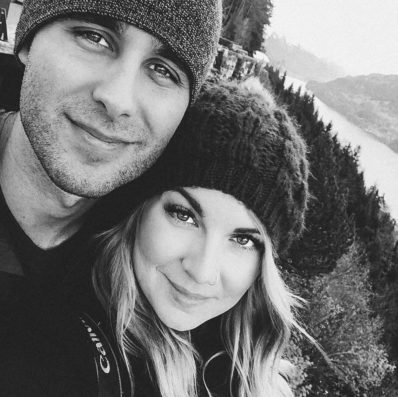 The thought of a ten-day road trip with a baby, albeit doable, just made more sense in my head to take with just Derik and I while it’s just the two of us. After tossing around a few countries that would be nice to take an extensive roadtrip though, we settled on Iceland, and the only way that made sense to us (to see as much of the country as we could in our short amount of time) was to rent a campervan and travel all the way around the Ring Road. 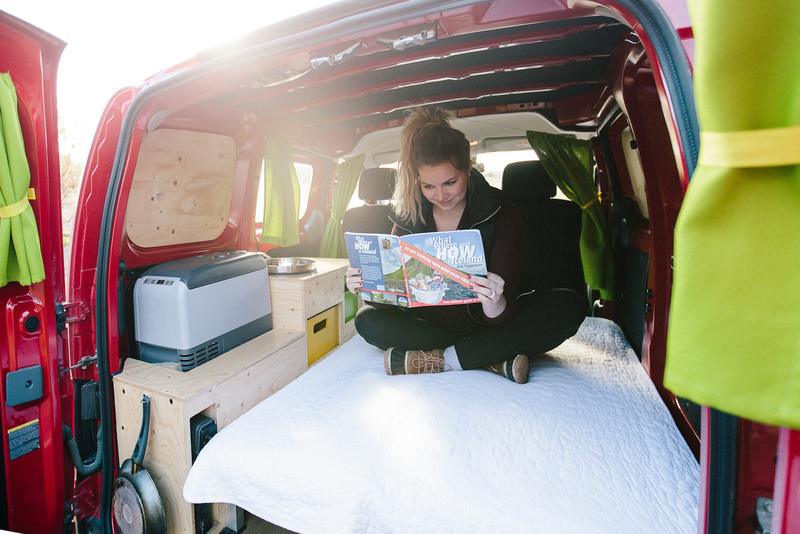 I spent several days researching campervan companies and one particular company kept catching my eye: Happy Campers. Not only is Happy Campers one of the original campervan companies in Iceland, but it’s family owned and operated, and they really seemed to have a fun approach to traveling around the country. We were in our campervan for eight days, and honestly I couldn’t have imagined traveling around Iceland any other way. Sure you can find hotels and b&b’s all the way around the country, but there’s nothing like really immersing yourself in the whole road trip experience. I mean, you eat, sleep, trip plan, and drive in your van, so honestly it would be hard not to develop somewhat of an attachment with it before you leave. Logistically speaking, our experience with Happy Campers was seamless from the start to finish. We were picked up from our hotel in Keflavik early morning after arriving into the country at 10pm the night before, and brought straight to the cheery Happy Campers headquarters. At the end of the trip, we were brought straight to the airport where we rented out a car for the last couple days we had in Iceland to explore Reykjavik and the Golden Circle. 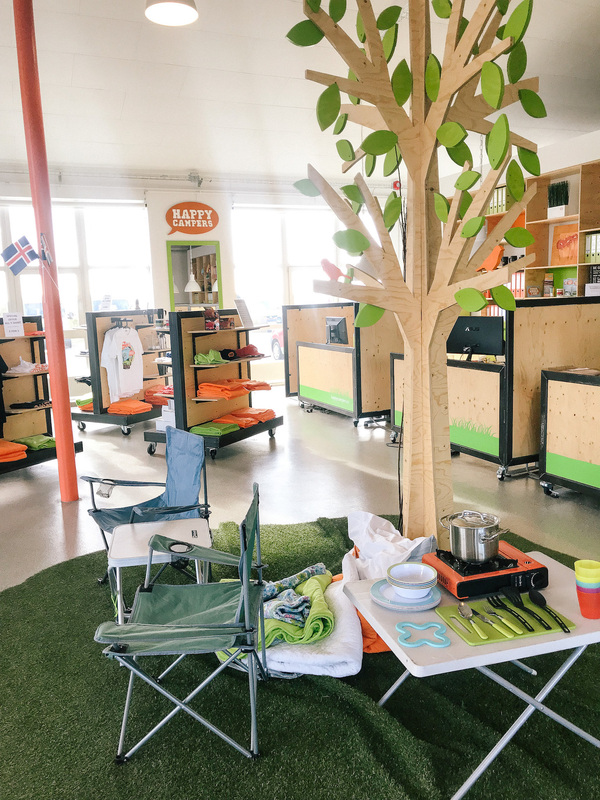 Happy Campers Iceland HQ! Have you ever seen a more cheery rental office?! I could not have been more impressed with the office building itself — it truly represented the company with its bright colors, happy decor, and of course, smiling faces that greeted us. Having done a stint of that car rental life myself (post college / pre “let’s sell our things and travel the world” days), I was very relieved to find it not at all stuffy, filled with employees that wanted nothing else but to push coverage and extra features on you, or a company that rushed you out the door and into your vehicle, leaving you wondering what just happened. 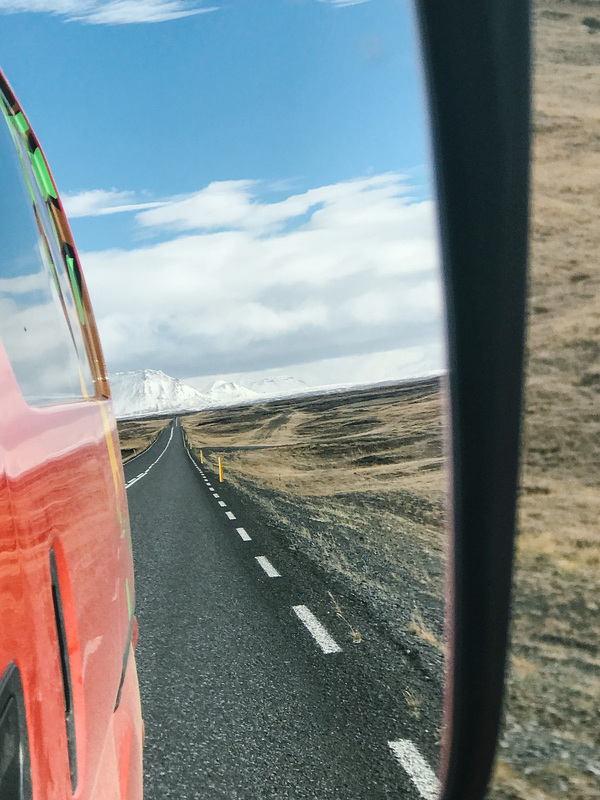 We were offered coffee, given permission to raid a huge shelf of freebies previous campers had left (more on how to maximize this in a later post), shown all the details of our van, and given a brief on safety while driving around Iceland. Derik and I felt adequately prepared for the next 10 days in Iceland once we were left on our own with our shiny red Happy 1, and before we knew it, we were headed North to begin our epic road trip. Since there was just the two of us road tripping, we decided to go with the most economical van option, the Happy 1. 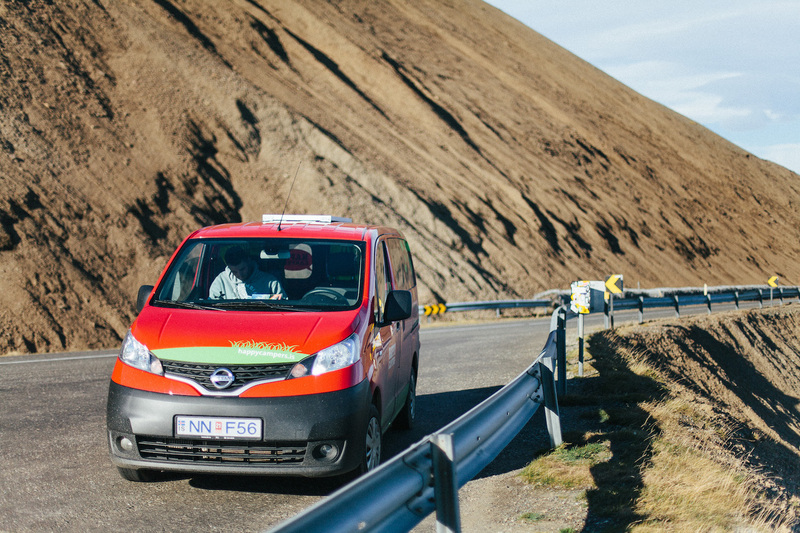 Not only was it the best option gas-wise but I felt completely confident from the get-go driving it around, and never felt there was any sort of issue with the van being over-sized and blown around by the wind (you haven’t felt wind until you’ve felt Iceland wind). The van itself was very compact, and was built with very clever storage spaces for luggage, bedding, an oven, and still had room for a functioning sink, drawers for dishes, and of course the bed. We had previous campervan experience when we traveled around New Zealand for three weeks, and that van was gigantic, and I honestly feel like we never utilized the space as much as we could have! Derik and I did our best to pack light (1 carry on + 1 personal item each) for this trip because we weren’t wanting to be burdened by luggage, and it would have been a bit difficult juggling the room behind the driver’s seats in our Happy 1. If you require a bit more space or are a little claustrophobic I would recommend a bigger van, maybe the Happy 2 or even the Happy 3! That being said, I rather enjoyed being comfy and cozy in our little red van, and would do it again in a heartbeat. -WIFI: This was the best add-on EVER! We never had to worry about being out of service to upload our videos and pictures each day, or had to worry about issues with navigation! We were also able to use it every night to plan the next day’s travel: what to see, where to stop for the night, and where to get gas. -HEATER: Our Happy Camper was equipped with some pretty spiffy solar panels that charge a second battery for the van during the day (so you don’t have to worry about draining your main battery and the van not starting in the morning), and we were able to stay nice and toasty during the night with the heater located right under the bed! -MANUAL TRANSMISSION: Like most vehicles in Europe, our little Happy Camper was a manual. I am so thankful the first car my father purchased for me at 16 years old was a manual, because I’ve somehow been driving them ever since, and prefer driving them over an automatic. I know manuals can seem daunting if you’re not used to driving one every day, but I promise you, Iceland roads are friendly and easily drivable even for the least-experienced [manual transmission] driver (I would only ask you pull off if you have a line of cars behind you… PLEASE). -ROAD MAP / ICELAND BOOKS: We loved that our van came with a huge map of Iceland and a few books on the sights, rules of the road, and a bit of everything else for our road trip. The materials provided helped us plan our trip each day as we kind of took every day one at a time, the only goal being to get around the entire country in 8 days. -BLANKETS/BEDDING: We did add-on the sleeping bags just because we were having flashbacks to our super cold campervan experience in New Zealand (the NZ van did NOT have extra heat at night), and although we used them the entire time we were in Iceland, we wouldn’t have needed them because blankets and pillows were provided. So why campervan instead of stay in an airbnb or hotel? Our campervan trip in New Zealand was one of the greatest memories during our year there, and I really wanted to make this babymoon memorable as well. We also had a pretty strict budget due to baby coming in December, so just crunching the numbers, the campervan route was hundreds of dollars cheaper, if not more! Plus, we did not have to worry about sticking to a rigid schedule and could drive however long we wanted to each day, and adjust according to how well we liked the area and how much we wanted to see. 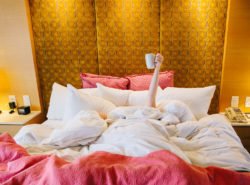 I know what you’re thinking, “What about showers, hot meals, and a comfy bed? Didn’t you miss that?” The short answer: no. The thing you have to remember is campervanning is just like camping but without the tent set up and having to directly brave the elements. 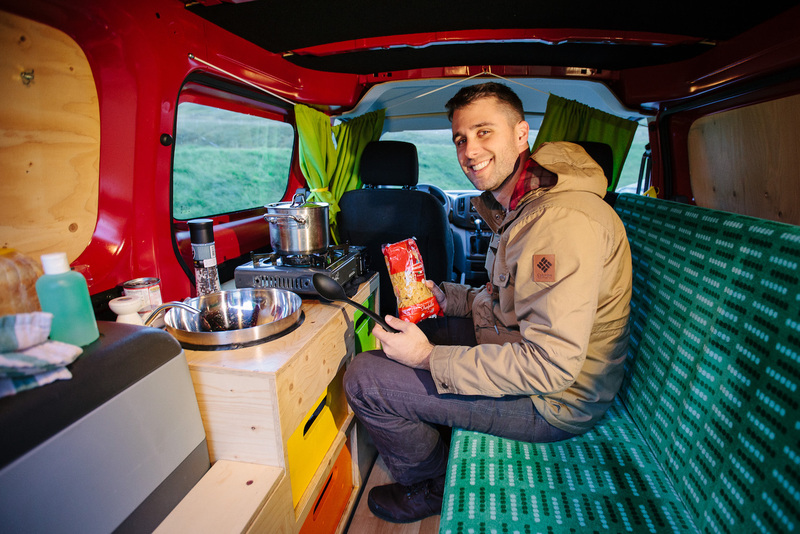 You get to be snug as a bug in your van while it’s raining or snowing outside, AND you have the option to cook right inside the vehicle itself! Now, if you go into the campervan experience expecting a plush, luxurious experience, you may have a hard time for the duration of your vacation. It is different. It is unique. But in my opinion, it’s 100% worth it. About the showers and toilets: it’s illegal to camp just anywhere you please in Iceland, and you’re required to stay at an RV/camp park. These parks come fully equipped with showers (some are not free, so you’ll have to do a bit of googling to find the ones that are or else you’ll be paying 1-2 dollars per minute for that hot water), kitchens, lounge areas, and even their own thermal hot tubs/pools! The experience of staying at these parks every night was one of my most favorite elements to campervanning. The opportunity to meet like-minded individuals from literally all over the world and maybe by chance, get to hang out several times at other parks was invaluable to me, and you don’t get that with a hotel or Airbnb. It’s fun to cross reference places to visit, give little tidbits of advice, or learn about hidden places someone else discovered or were told about by the locals. Don’t get me wrong, our hotel stay after campervanning with its’ plush bed, fuzzy robes, and spacious accommodation was incredibly lush and heaven-like, and I soaked up every single second of it. Comparing campervanning to hotel stays is kind of like comparing apples to oranges — they’re two completely different ways to see a country, and although I feel like one immerses you more into the experience, there’s nothing wrong with either! 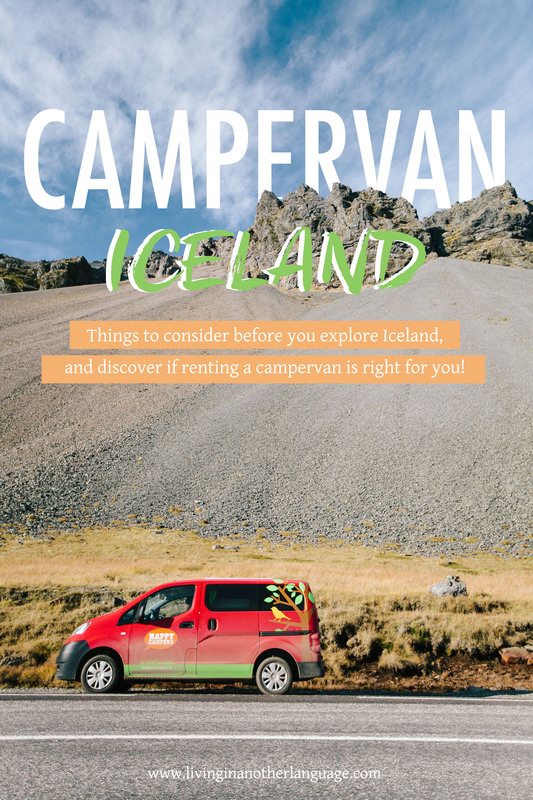 The greatest part about renting a campervan to travel around Iceland was the fact that it was way cheaper than other options we looked into on sightseeing around the country. Not only did our van cover transportation, but it was lodging, our own self-guided tour of the island, and a place to cook/eat instead of having to pay the equivalent of $20 + dollars per person, per meal. I’ll go into detail with the budget in one of my next posts, but just for a little teaser: we spent $100 on groceries the first day and that covered all 8 days in the campervan as well as breakfast and lunch the remaining two days. If we were staying in a hotel and having to eat out, $100 would have only covered a single day, maybe two if we went stingy. … would love to see all of Iceland without having to selling their first-born child to do so. … enjoys adventure, camping, and being outside. 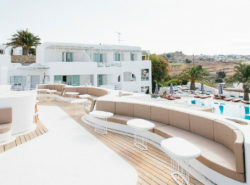 … is an outgoing individual that loves to immerse themselves into a culture, have chats with the locals, and make friends with other travelers! -OR- … is an introverted individual seeking solitude while exploring one of the most beautiful places on earth (you don’t HAVE to leave your campervan). I plan on writing several posts on our trip to Iceland, including a detailed budget (I literally wrote down everything expense-wise while we were there), itinerary, and a post on packing for the country, but if you have any specific questions, I would also love to write an FAQ post! Please either send me an email with your questions or write them below in the comments. If you can’t wait until the posts are up, go check out my Instagram Stories under ‘Iceland’ for the day-by-day documentation (complete with videos) of our campervan trip! A huge thanks to Happy Campers for providing our Happy 1 during our trip! 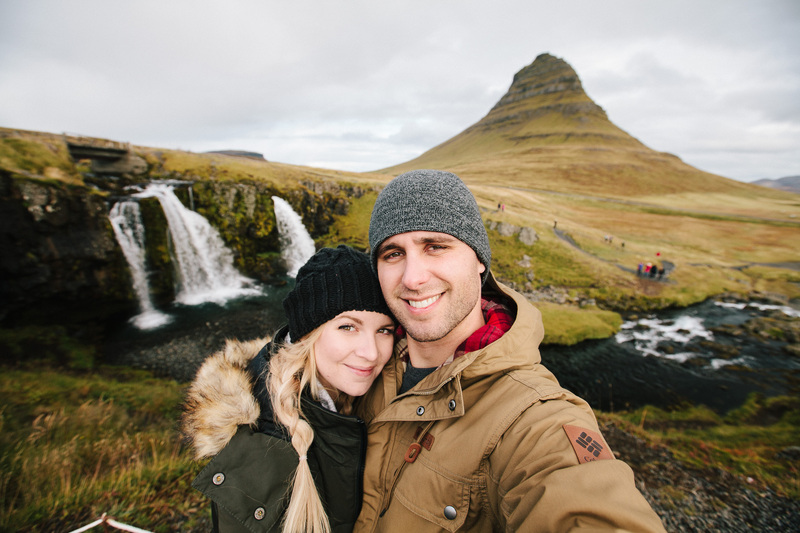 I would not hesitate to book them again, and would whole-heartedly recommend them to every single person that is considering a trip to Iceland in the future.